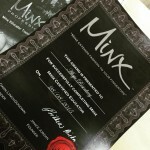 We are presenting new training in Estonia – Minx nails! Minx nails – bring fashion to your nails and toes. – checking starter kit and tools. Who can apply to these course: All nail technicians with base course of manicure and pedicure base. Price: 88€ + 160€ is starter kit. Prices include tax. – 88€ (non-refundable) payment to book a place in training. – 160€ on day of course. 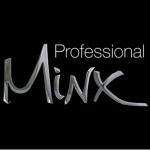 Minx its not only fashion, its protection for you nail plate as well.